Our beachfront four star luxury hotel is a two minute walk from Travemunde’s famous lighthouse. The hotel boasts elegant bedrooms, an indoor swimming pool, lavish Maritim breakfasts and evening meals with menu choice. There is a Café, ‘Above the Clouds’, offering fascinating glimpses of ferries and cruise ships and a shoreside bar with a nautical theme. We leave from our local departure points and drive south to Hull, where our ferry awaits for the overnight crossing to Rotterdam. Twin low-berth outside cabins. Dinner and breakfast on board ship. Our route this morning is north to the Hanseatic city of Bremen where we enjoy a peaceful night in the comfort of the luxurious Hotel Maritim. After breakfast, a relaxing day’s touring takes us to the sea port city of Hamburg, where we enjoy a cruise on Lake Alster, before continuing north to the Baltic Sea and Travemunde, our host for five nights. Maritim Strandhotel Travemunde. Travemunde, set between the North Sea and the calmer Baltic, combines the role of charming seaside town with that of a bustling port. In the early 19th century, when sea bathing became the fashion with the gentry, Travemunde was referred to as a German St. Tropez. 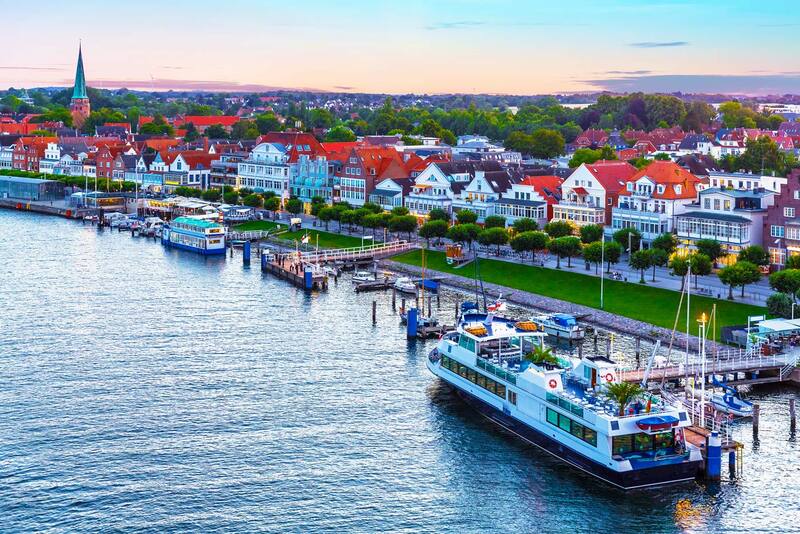 Famous for the ‘Strandkorb’ (the sturdy wicker hooded beach seats), unspoilt dunes and sandy beaches, Schleswig Holstein, Germany’s northernmost province is a great holiday destination and we tour the area, visiting the charming towns of Eutin, Plon and Neustadt, known locally as Holstein Switzerland. We visit Lubeck, the island city, where the centre is enclosed by the River Trave and surrounding canals. Church towers and spires dominate Lubeck’s skyline and the city oozes a definite charm with the high gabled buildings, the impressive 15th century gateway to the city and many picturesque courtyards. We enjoy a boat trip on the River Trave and visit Schwerin, one of the most picturesque towns in former Eastern Germany. A town of many lakes, a lovely palace and a bustling market place. 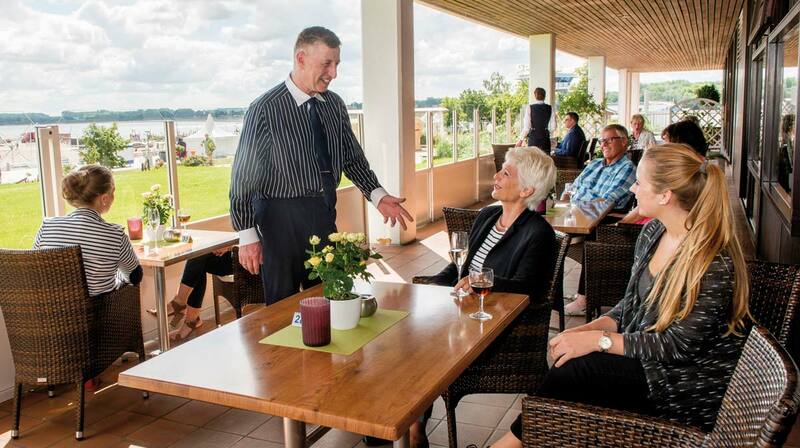 We take the time to relax in Travemunde, an ideal resort to unwind and enjoy the gentle surroundings of the Baltic coast. We bid farewell to Travemunde and head south to the charming town of Celle, before continuing to the thermal town of Bad Salzuflen for the night. Hotel Maritim. En route to the Dutch border, we stop in Osnabruck, where we stop to admire this vibrant university town, set on the River Hase with a charming old town centre. We continue over the border to Holland and Rotterdam, where our ferry awaits for the overnight crossing to Hull. Twin low-berth outside cabins. Dinner and breakfast on board ship. We return to Scotland after a memorable holiday.